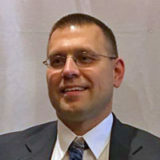 Todd Zaganiacz (aka TZ) was born and raised in Massachusetts. His father, Ed “Zaggy” was a musician with The Eddie Forman Orchestra, a local band from Hadley, MA for nearly twenty years. He never took up an instrument, but his love of the music was always prevalent. In 2007, Todd began assisting Billy Belina on his WMUA-FM Saturday polka show and was given his own show in August of 2008. He hosted a program called: “The Polka Carousel Show” which aired LIVE on Sunday mornings from 5:30am to 9:00am ET on WMUA 91.1FM and was simulcast here on the Polka Jammer Network. The simulcasts first aired on March 28, 2010. The program ended at WMUA in September of 2016 as the station dismantled it’s community programming. Todd moved his show to WHMP Radio in Northampton, MA in October of 2016 which has a much larger listening audience over it’s multiple radio stations and internet presence. In October 2008, “The Polka Nite Cap Show” made it’s debut on Tuesday evenings from 10PM to Midnight. Todd was appointed by Polkaman Jack Baciewski to take over his old Friday night time slot on the Jammer when he left the network on October 24th, 2008. Todd’s 1st LIVE Friday night show premiered the following week on October 31st. 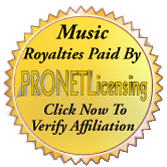 In 2009, Todd started his own music label The Music Zone (www.themusiczonestore.com) which specializes in polka recordings never before available on cd after going through a full digital remastering and restoration process. In May of 2013, Todd was appointed by the Board of Directors as President of the Polka Jammer Network. On Sunday, June 1st, 2014, Todd aired a weekly 2hr program on KCTI 1450AM in Gonzales, TX until the station signed off forever in August 2015. In the summer of 2016, Todd was asked to move his “Polka Carousel Show” to WHMP Radio in Northampton, MA. After the destruction of polka weekends on WMUA, it was a welcome change and expansion to a 4hr. program. The first show aired on October 2nd on five different AM/FM radio stations as well as the internet. Todd’s shows originate from South Deerfield, MA.